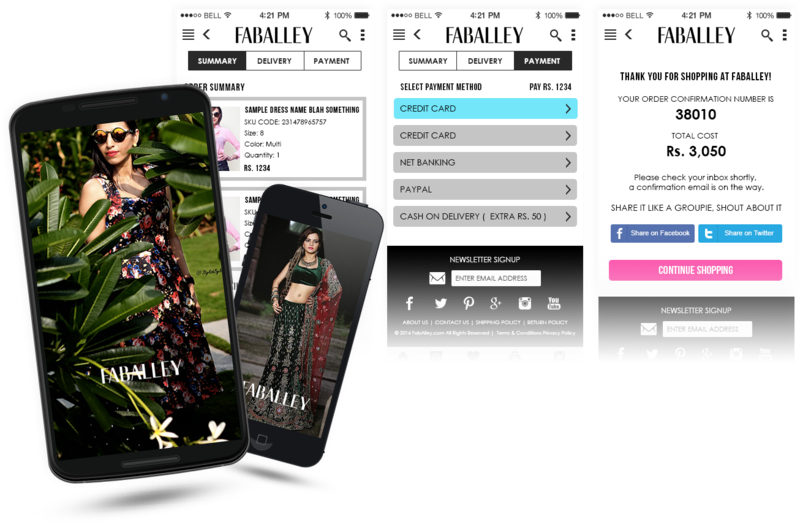 Our client for FabAlley, a well-known fashion brand with online web presence wanted to build a mobile app with complete features and functionalities as provided in their existing website comprising of coupons, vouchers, look book, etc. with common account between all devices that will allow users to access wish list /cart items from any device. The FabAlley app comes with a bottom menu integrated with social media links and newsletter subscription functionality. Besides users can conveniently check Wishlist, view Look Book and access their shopping ‘Bag’ - supported by quick links to Shipping & Return Policy. The app allow users to choose from the multiple products in the image gallery, sort & refine your Search, create My Wishlist, Shop and even share on social media. There is also an Instagram linked “Get the Look” feature that allows users to share picture of girls spotted wearing FabAlley. FabAlley app allow users to select products from various categories and sub-categories, view elaborate product details from size to color to price; tally them with discount code or apply voucher and finalize your order. FabAlley app users can get access to exclusive app-only deals and discounts. The application’s 3 step Checkout process is simple and hassle-free, supported by secure PayU/PayPal payment integration with multiple currency support, and international standard Shipping and Return policy. 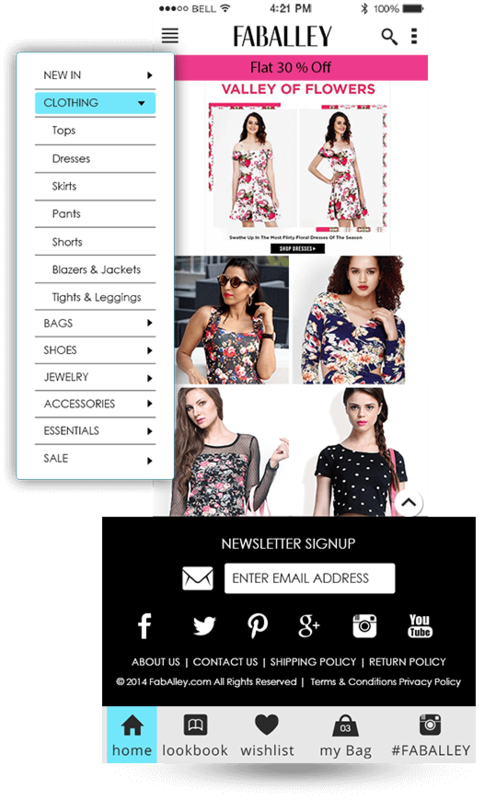 Do you want to build Online fashion store? Let's discuss! !